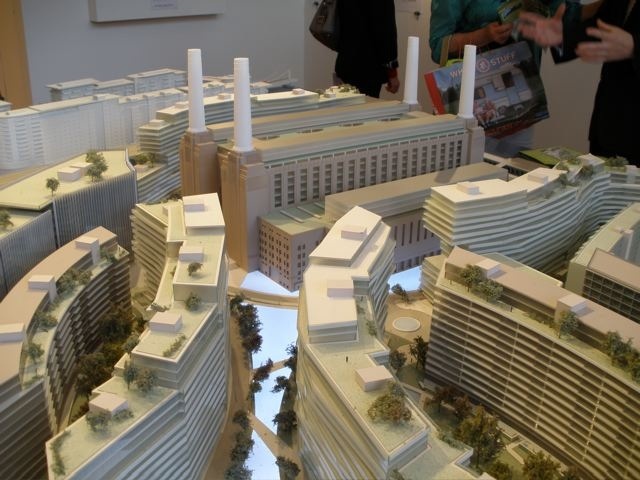 The business model of the development of the Battersea Power Station is flawed. It only needs a slight shift in interest rates or property taxes, or for the value of the pound to rise relative to Asian currencies for the foreign investor led property market boom to collapse according to Bloomberg. It is this flawed and precarious property bubble that Transport for London (TfL) is sinking billions of pounds of public money to prop up. At the recent public inquiry into the Northern Line Extension the response from the representatives of TfL to the many compelling arguments against the scheme made in Battersea Power Station Community Group’s objection was to insist the NLE was not aimed at solving local transport infrastructure issues but to enhance property values in the so called Vauxhall Nine Elms Battersea Opportunity Area. In this time of austerity can this really be a good use of public money? It is also probably one of the most useless, unwanted and extravagant public infrastructure projects ever proposed. London’s status as a magnet for foreign property investment was burnished in the years after the financial crisis by an investor-friendly tax regime and the falling value of the pound. That may be changing. A new capital-gains tax on homes sold by people living abroad and a growing British economy that’s lifting the currency may dull the capital city’s appeal to property buyers from abroad. Chancellor of the Exchequer George Osborne announced the new capital-gains tax in a statement to Parliament on Dec. 5. It will apply to “future gains” after the tax goes into effect in April 2015, he said without specifying the size of the levy. Capital-gains tax rates for second homes of U.K. residents currently range from 18 percent to 28 percent. Labour Party leader Ed Miliband and Nick Clegg, head of the Liberal Democrats, which govern in a coalition with Prime Minister David Cameron’s Conservative Party, support an annual levy on houses valued at more than 2 million pounds known as the mansion tax. Cameron opposes the idea. Other than that, South Asian buyers account for two-thirds of new London homes sold before completion, according to Land Securities Group Plc, the largest U.K. real estate investment trust. The high-end market is dependent on pre-sales to overseas buyers to help get development finance and deal with rising land costs, Michael Lister, a lecturer at University of Westminster, said in a Nov. 22 interview. Singapore and Hong Kong, two destinations also favored by south Asian buyers, have introduced measures to cool property prices and curb speculation. Singapore linked borrowers’ maximum debt levels to their incomes and raised transaction and capital-gains taxes. Hong Kong has increased minimum down payments six times in fewer than three years and in February doubled stamp-duty taxes for all properties over HK$2 million ($258,000). To end with, the pound plummeted against a basket of major currencies after the collapse of Lehman Brothers Holdings Inc., making London homes a relative bargain for wealthy investors and buyers from emerging Asian economies. The Singapore dollar gained 60 percent against the pound from September 2007 to June this year and the Malaysian ringgit climbed by 50 percent. Since then, the pound has risen 6.8 percent and 12 percent respectively against the Asian currencies.